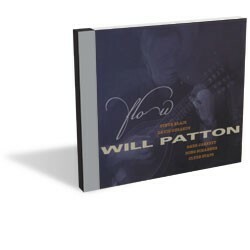 In a handwritten letter sent to Seven Days introducing his new record, Flow, Will Patton cheekily describes the album as “the latest installment in my get rich slowly scheme.” While it’s unlikely the album will significantly line the veteran mandolinist’s coffers, it does offer listeners a bounty of musical treasures and adds yet another milestone to the local gypsy-jazz guru’s impressive career. Where his previous record, 2008’s 6th St. Runaround, found Patton and company musically meandering Parisian side streets with occasional southerly ventures into Latin jazz, Flow represents a diverse collection of material sharing more in common with the globe-trotting fare on Patton’s 2005 collaboration with famed gypsy-jazz guitarist Ninine Garcia, String Theory. This record opens on an acoustic-based version of “Cheesecake” by bebop pioneer Dexter Gordon. The tune’s familiar melody breezily soars on Patton’s mando, as his longtime backing mates, guitarist Steve Blair, bassist Clyde Stats and drummer Gabe Jarrett, form a gently bouncing musical bed beneath him. “Le Marais” is the album’s first Patton-penned tune. The breezy cabaret waltz features a fine guest turn from the bandleader’s daughter, Anna Patton, on clarinet and a series of nifty runs from guitarist Dono Schabner. Patton also wrote the following cut, a sinewy, Latin-inflected charmer called “Charanga.” Here, he and violinist David Gusakov alternate leads as percussionist Steve Ferraris propels the tune forward with a variety of syncopated rhythmic flourishes. “Waltz for Anna” is a gorgeous ode to Patton’s daughter. The tender, bluegrass-tinged ballad is highlighted by Jim Pitman’s weeping dobro, which gracefully bends and curtsies around Gusakov’s violin — or fiddle, in this case. Sonny Stitt’s “Bebop in Pastel” is next and jolts the listener to attention in a jazzy flash of herky-jerky guitar and mando runs. “Sampa” is described as a “family affair” in the album’s liner notes, and again features Anna Patton on clarinet, as well as Will Patton’s wife, Deb, on shaker. It’s a nice reimagining of Caetano Veloso’s classic. Following two more Patton originals — “Big Dawg” and “November” — as well as a version of Duke Ellington’s “Daydream,” Flow closes with Ninine Garcia’s “Caporal Swing.” Patton recorded the tune with Garcia in a Paris studio, and it fairly bursts with jubilant, hothouse appeal. Flow may not make Will Patton a wealthy man. But local jazz fans will be richer for having heard it. Will Patton plays Leunig’s Bistro in Burlington this Friday, June 10.